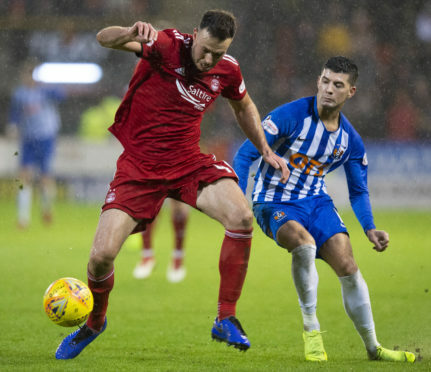 Aberdeen defender Andy Considine against Kilmarnock's Jordan Jones. The Dons’ main competitors for third spot host Derek McInnes’ side on Saturday April 20th, with a 3pm kick-off. They make their second trip to Ibrox of the season the following Sunday, again at 3pm, with a 12.30pm game against Celtic at Pittodrie on Saturday May 4. Hearts come to the Granite City on Friday May 10 (7.45pm) and Aberdeen finish the season away to Hibernian on May 19. The Scottish Cup final is due to be played at Hampden Park the week after, on May 25.